Mobile Banking is the ultimate on-demand banking service, allowing you to access your account information whenever and wherever you want. Use your mobile phone to conveniently and securely bank the way that’s best for you. Mobile Banking is only available for personal checking and savings accounts. It is not currently available for business checking and savings accounts. 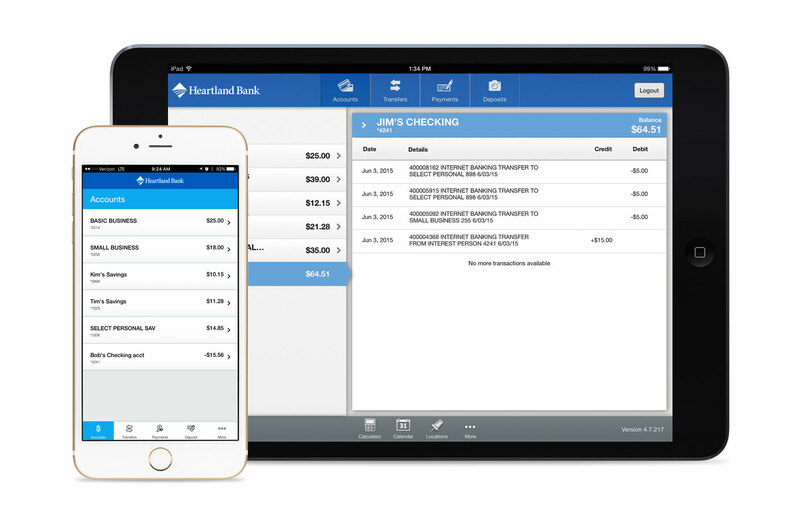 Get the most out of your smartphone or tablet by downloading our Mobile Banking App: HB Mobile. 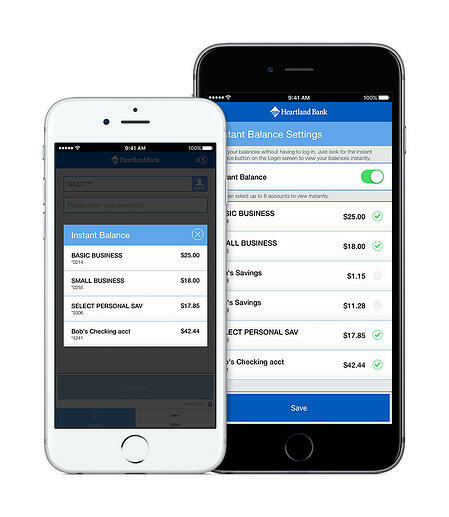 If you have an iPhone®, Android® smartphone, iPad®, Android® tablet, or Amazon® tablet, simply search your device's app store for "Heartland Bank NE." You will then need to enter your username for your Online Banking account, answer one of your security questions, and input your password. Once you have logged into the app, it will be set up for your device and you will only have to input your password the next time you open the app. 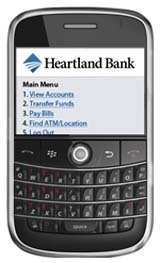 Mobile Banking is a free service* for all Heartland Bank customers. You must first be enrolled in Online Banking to sign up for Mobile Banking. Click here to sign up for free Online Banking. *Mobile web access is required for this level of service. Want to take a peek at your account balance? Our new Instant Balance feature in our Mobile Banking app lets you view up to six accounts right from the login screen on our mobile app - no password necessary. It gets even better if you have a phone with Internet access. To enroll in Mobile Text Banking, first log into your Online Banking account. Once logged in, click on the "Options" link in the main navigation menu. Scroll down to the Mobile Banking section and complete the form. A text message will be sent to your mobile device with instructions for logging into Mobile Banking. *Mobile web access is required for this level of service. Standard text rates apply from your phone provider for text Account Alerts. You don't need Internet access on your phone to take advantage of Mobile Banking. Deposit Checks in a Snap With Mobile Deposit! Depositing a check is now as easy as snapping a photo from your smartphone. With Mobile Deposit, you can now deposit a check right from your smartphone into your checking or savings account. Mobile Deposit is a simple, secure, and convenient way to deposit checks when you can't make it into the bank. It's also FREE! To download our step-by-step user guide for Mobile Deposit click here (PDF). Need an Online Banking account? Click here to sign up online. *Mobile carrier text and data charges may apply. Please see our Mobile Banking terms and conditions for more information. Now you can pay the bills you have set up through Online Bill Pay from anywhere your phone goes. Just select your payee from the list, enter the amount, payment date and confirm. That's it! Never miss a payment again. You can also view and modify pending payments. Mobile Bill pay is available to all Online Bill Pay subscribers. Mobile Banking employs the highest security thanks to multiple layers of authentication. This insures that your information is protected at all times. Mobile Banking is only available for use with Personal Online Banking accounts. Mobile banking does not provide access to Online Business Banker accounts.